Imagine you are walking down the street, enjoying the pleasant blue sky, admiring the beautiful green trees, listening to the birds chirping. You almost have a hop in your gait. However, suddenly, as is the weather these days in Mumbai, it starts getting darker. The monsoon winds start blowing from the east instead of the west. The grey skies thunder, you shudder. It starts raining heavily. You start soaking quickly. You take out your umbrella and try to save your head from the rain. Because always remember what mother taught you, save your head, if nothing else, in rains. It will keep you from catching a cold. The winds blowing are so strong, you struggle to keep your umbrella straight. The wind is too strong. Your poor umbrella finally gives in and is turned to pieces. Credit Card debts can sometimes catch you in sudden storms like these through no fault of yours. One reason for being caught up in credit card debt could be due to paying off high medical bills accumulated due to a major operation or a terminal illness case in your family. We all know health does not come cheap in these times. Another reason for credit card debt is not paying attention to the fine prints while applying for a credit card. In a country like ours, we have people with great sales potential. They can lure you into offers and schemes you did not know you ever wanted. This can mean having to pay higher interest rates on your credit card bills than you realized while applying for the said credit card. Your debt will pile up sooner than you can say ‘salesmen are con men’. What you need to remember is, there is always a way to get out of the storm. It takes great effort and discipline, but it can and has been done. Start of by paying the credit cards with the lowest amount and lowest interest rates. This will give you a confidence boost during your gloomy start towards paying off debt. As soon as the lowest debt is paid, it will also leave you with a small amount of money at the end of each month, which can be used to clear the next lowest credit bill. One more way to handle this herculean task is by paying off the highest interest card first. 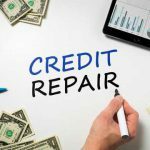 This method will make sure you do not incur any higher interest rates on your already high credit bill. Of course, this method takes the most discipline and conviction to make sure you see yourself at the end of what seems like a marathon. However, you do not always have to be alone while struggling to walk through the credit storm. You see a passerby, with an umbrella bigger and stronger than yours, walking away with no care in the world. He passes you a smile, offers to share his umbrella, in return asks only for hot coffee, and snacks at your house. When paying off credit card debt you can also try debt consolidation where you allow one entity to pay off the debt on your behalf and you just pay them back in EMIs and fixed interest rates. This method keeps you from incurring further interests on your credit. Peer-To-Peer or P2P lending helps you consolidate your debt and pay it off at the earliest. Since you already have a huge pending credit bill, it will get more and more difficult to get a personal loan. P2P lending platforms like LenDenClub help you get a instant personal loan in as less as 3 days. We don’t want you to blow away in a credit storm. Let India’s best Peer To Peer lending platform help you pay your credit card debt systematically and with dignity.